Richard Reed built Innocent Drinks from a smoothie stall on a street corner to one of the biggest brands in Britain. 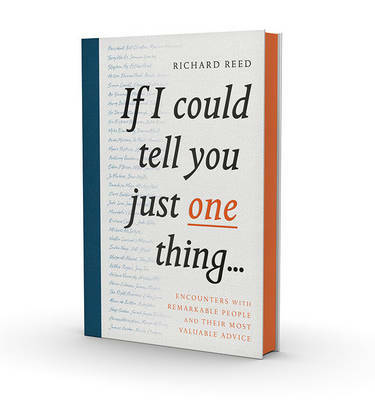 -- Richard has collected pearls of wisdom from some of the most remarkable, inspiring and game-changing people in the world - in business, tech, philanthropy, politics, sport, art, spirituality, medicine, film, and design. From Hollywood greats like Judi Dench and Richard Curtis, to entrepreneurial legends like Richard Branson and Simon Cowell; from sports stars and TV personalities like Andy Murray and James Cordon to political activists and born survivors like Mandela's Comrades and Katie Piper, Richard has picked some of the world's most interesting brains to give you a lesson in how to live, how to love, how to create and how to succeed.